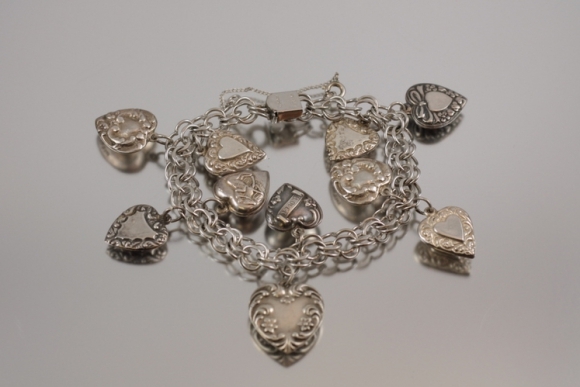 This hard to find sterling charm bracelet by Krementz has ten puffy heart charms. 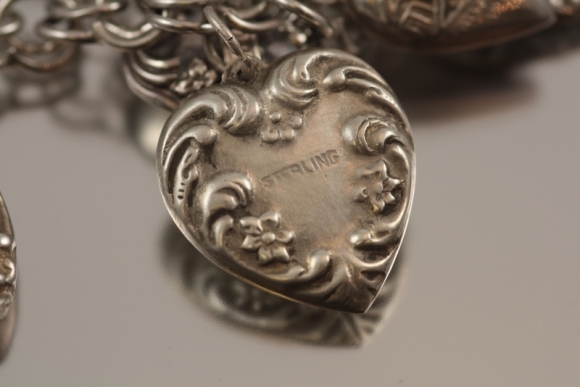 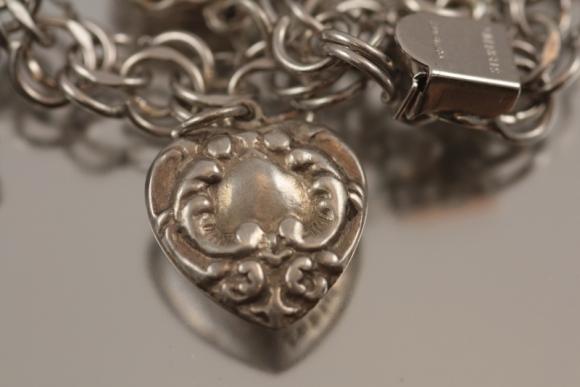 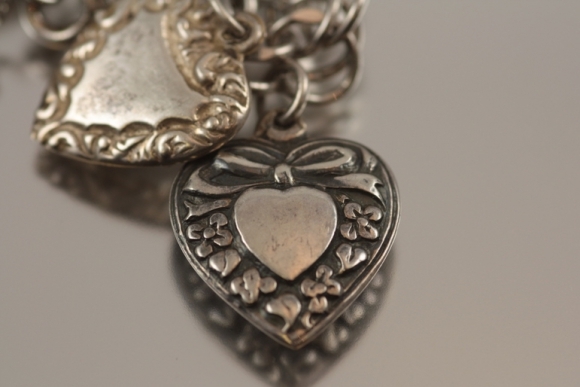 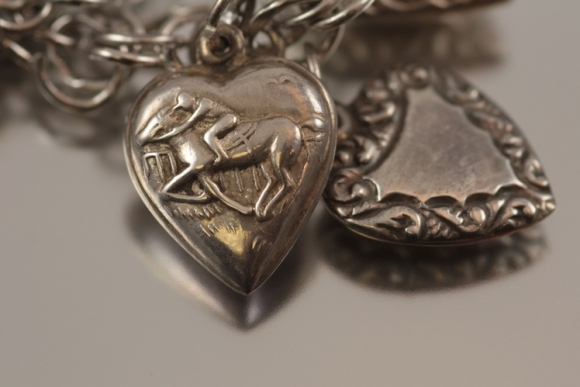 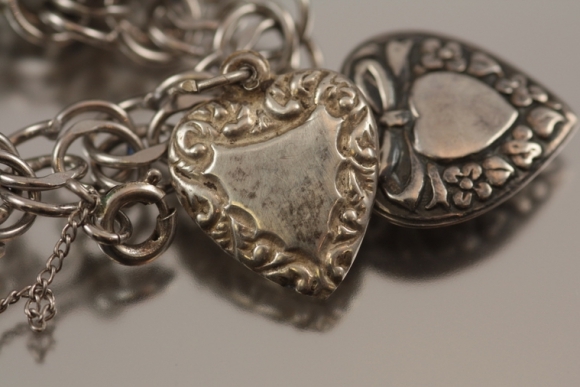 The hearts are beautifully detailed in repousse. 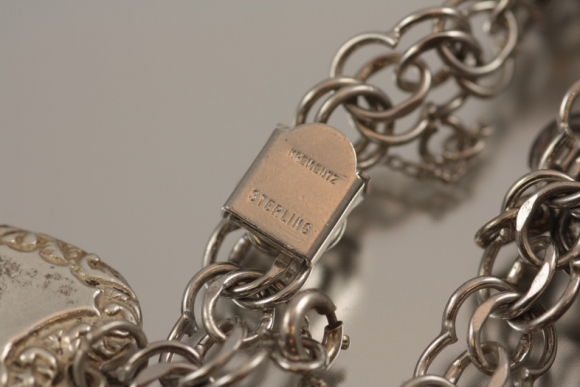 The charm bracelet is a double link bracelet signed Krementz, with the added security of a safety chain. 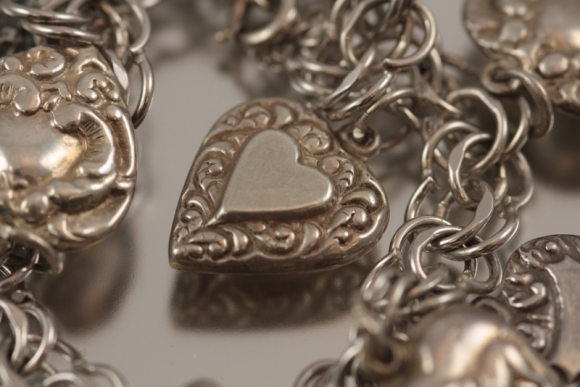 The bracelet is 7 1/2" long. 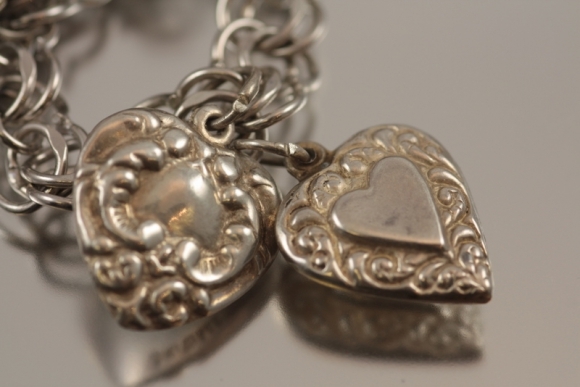 The hearts range in size from 5/8" to 3/4". 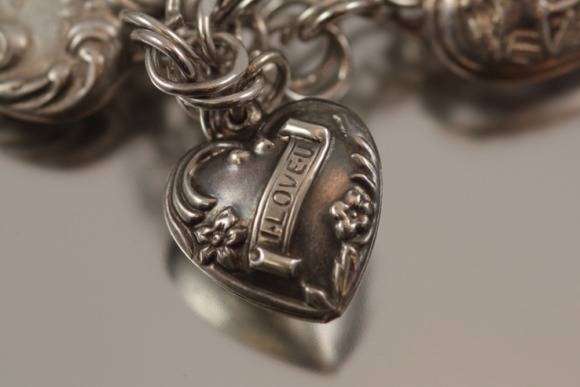 This is a very nice, hard to find bracelet!